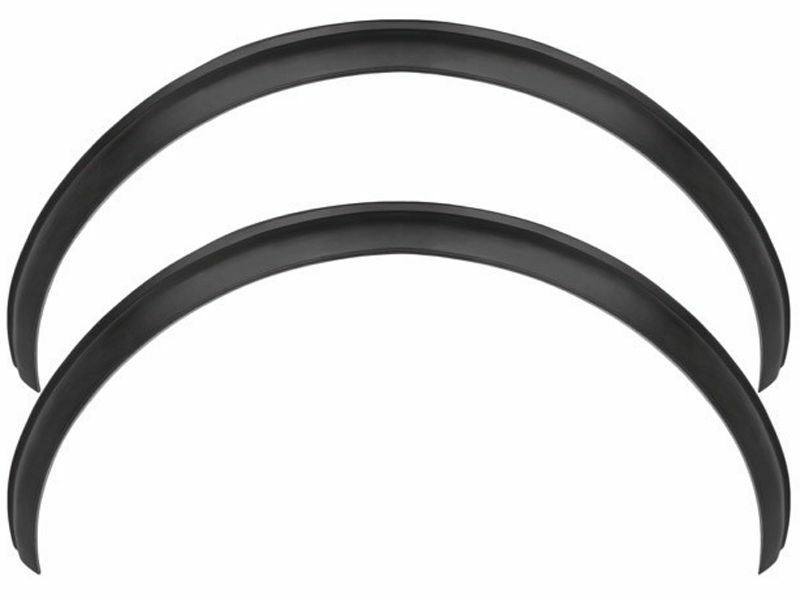 These days most fender flares are made out of plastic, but what if there were fender flares made out of durable, long lasting, rubber? Would you be more interested in that? Husky Liners can help you with that. Husky Liners Mud Grabber fender flares are available 2.75 inches wide or 3.5 inches wide, depending on how gnarly you want your truck to look. Husky Liners Mud Grabber fender flares offer an easy, at home installation with some drilling required. As long as you have your drill and your drill bit you'll have these great looking fender flares on your truck in no time. These fender flares will protect your truck from flying, mud, rocks, and other debris. Husky Mud Grabber fender flares are proudly made in the United States and have a limited lifetime warranty. What are you waiting for? There is plenty of mud puddles waiting for you to drive through. Get a pair of these fender flares today! Husky Liners offers a limited lifetime warranty on the Mud Grabber fender flares. Pretty fancy, eh?